Last month by sheer chance I was lucky enough to have a five minute chat with the very talented and entertaining Cyrus Todiwala at Abergavenny Food Festival. 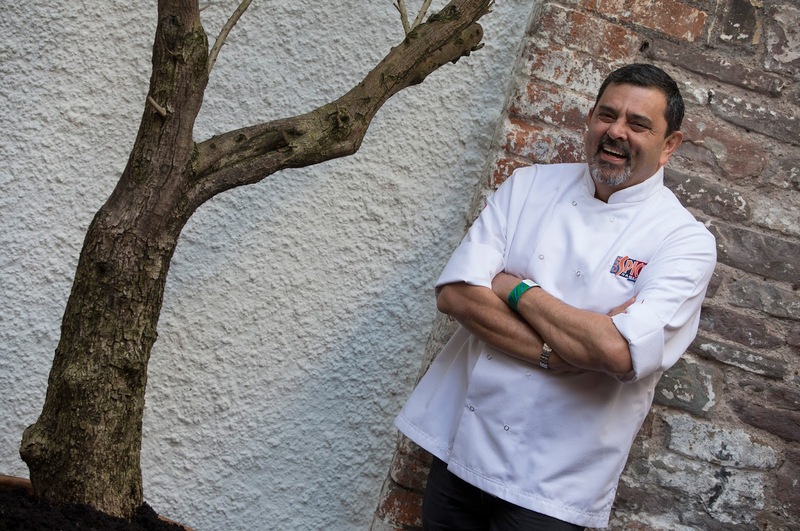 Cyrus Todiwala is chef patron at the now legendary Café Spice Namaste in London which has been going strong for the last 19 years. 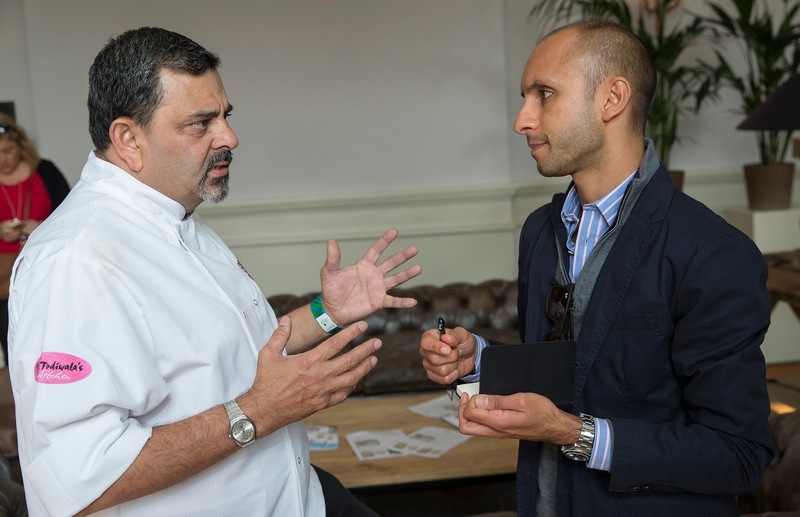 Cyrus is a well recognised figure on the UK food scene and our TV screens, from multiple appearances on Saturday Kitchen, numerous publications and of course one half of the eccentric Incredible Spice Men along with Tony Singh. What do you make of the Indian food scene in Wales? Ha! Good question! If I’m honest I haven’t had the opportunity to eat or visit many of the Indian restaurants around Wales so don’t feel I can fully comment. However I do know there are some good Indian restaurants in Cardiff. Ok, if Wales is too specific what about the current state of Indian food in the UK? Indian food has proved to be one of the nation’s favourite types of food and as a result restaurants must work hard to retain this position by delivering authentic Indian food but at the same time trying to innovate and keep things interesting. This is not your first Abergavenny Food Festival what keeps you coming back to Wales? I love Wales! In fact a lot of the produce we buy in for the restaurant comes from Wales including most of the lamb. There you have it my five minute chat with Cyrus Todiwala and not a bad person to start with for my very first interview. He was as likable and enthusiastic as he is on television and a true gent. Cyrus if you’re ever in Cardiff and want someone to show you where the good Indian restaurants are just let me know!